Ann Craig - distINKtive STAMPING designs - Stampin' Up!® Australia: Blue Christmas with Stampin' Up! Blue Christmas with Stampin' Up! While the promotion lasts, I'm starting each of my posts with the Sale-A-Bration reminder about the fantastic opportunity to join Stampin Up and benefit from all the advantages of being a "demonstrator". I would love you to join with me and my team - we have fun, share ideas and our enjoyment of stamping and paper craft. And don't forget the free products with every $90 you spend. 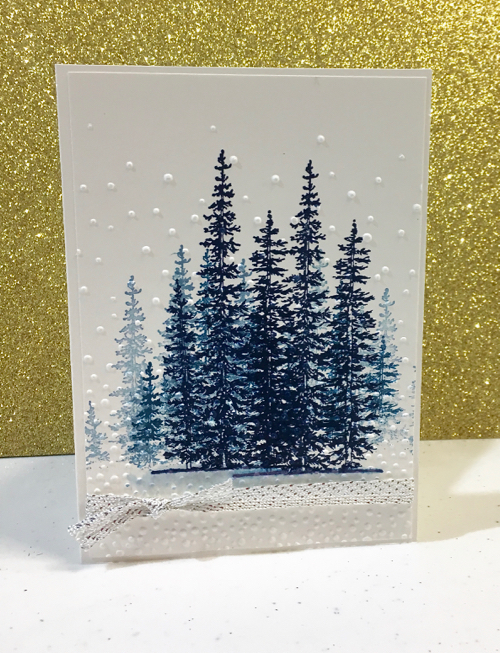 Today's card is a simple, yet beautiful Christmas card using a retired set featuring pine trees. 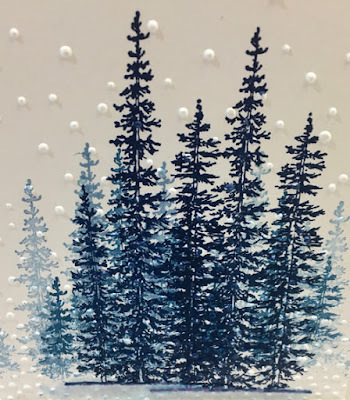 You could easily replicate this by using a tree from the "Lovely As A Tree" set by Stampin' Up! The technique involves the stamping off method, and I used both Night of Navy and Marina Mist inks. 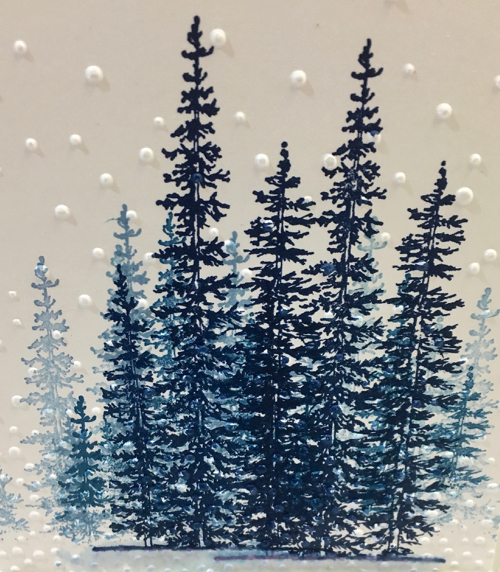 I also used a mask to delineate the ground line when stamping the most distant trees as I only wanted the upper halves of them. Once the darker trees in the foreground were stamped I used an Aqua Painter to soften the ground lines. 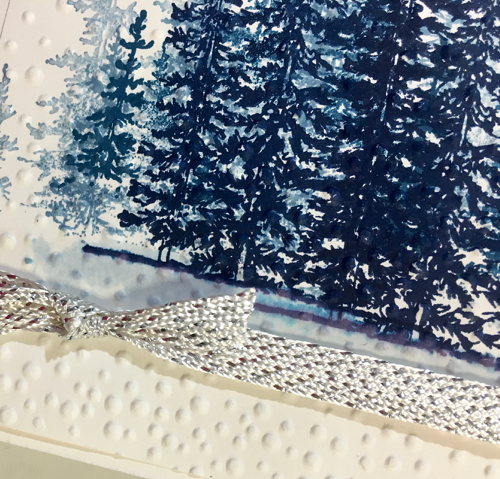 When all the stamping and layering was complete I ran the card though the Big Shot using the Softly Falling Textured Embossing folder. I find using texture on the surface really adds dimension to the card . I did not feel any need to add a greeting to this card as the image is lovely in it's own right. Thank you for looking - I hope you enjoy the card.